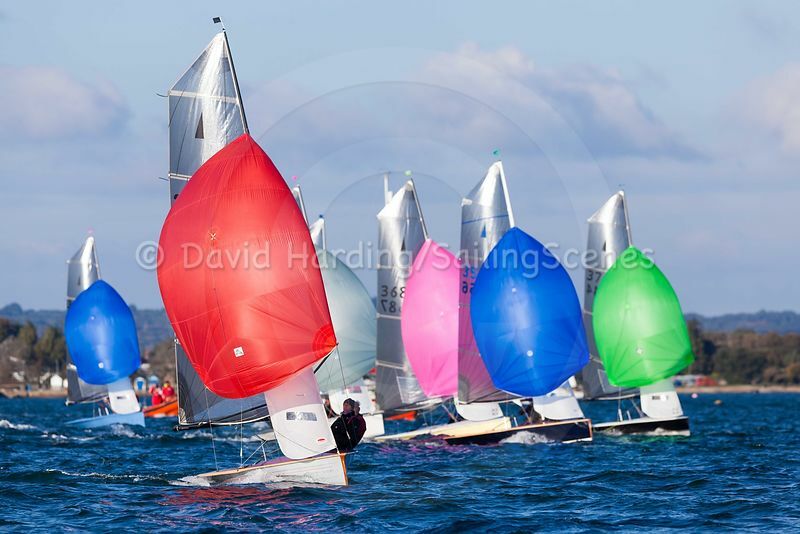 Sailing Scenes | BRIGHT KITES IN POOLE HARBOUR: THE MERLINS ARE HERE! BRIGHT KITES IN POOLE HARBOUR: THE MERLINS ARE HERE! October means Merlin Rockets at Parkstone, when the fleet graces Poole Harbour with its presence for the final event in the season’s hotly-contested Silver Tiller. Almost without exception, Merlin Rockets that compete on the Silver Tiller circuit are beautifully maintained and sailed by enthusiasts, many of whom are seriously good sailors. And unlike a lot of today’s racing classes, the boats don’t all look the same: there’s a wide variety of colours – often nice and bright – in hulls and spinnakers, and because they fly ‘proper’ (not asymmetric) kites they tend to sail a greater variety of courses too. We’re still working our way through the photos, but a preliminary selection is can be found here.